Start off your visit on the 9th (Sun): identify plant and animal life at Wildlife Areas and then head outdoors with Seven Fells Up. To see where to stay, ratings, other places to visit, and more tourist information, read our Akaslompolo day trip planner . London, UK to Akaslompolo is an approximately 10-hour flight. You can also drive. Due to the time zone difference, you'll lose 2 hours traveling from London to Akaslompolo. Plan for little chillier temperatures traveling from London in June, with highs in Akaslompolo at 17°C and lows at 7°C. Finish your sightseeing early on the 9th (Sun) so you can drive to Saariselka. 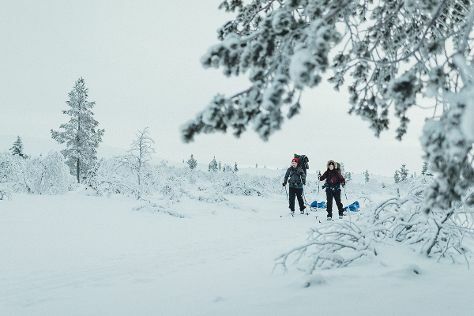 On the 10th (Mon), see the interesting displays at Gold Prospector Museum, then trek along Urho Kekkonen National Park, then stop by Hippupuoti Gift Shop, and finally have fun at Action Park. Get ready for a full day of sightseeing on the 11th (Tue): hit the slopes at Saariselka Ski & Sport Resort. For other places to visit, where to stay, ratings, and more tourist information, read Saariselka road trip planning site . You can drive from Akaslompolo to Saariselka in 3.5 hours. Another option is to take a bus. In June, daytime highs in Saariselka are 16°C, while nighttime lows are 7°C. Cap off your sightseeing on the 11th (Tue) early enough to go by car to Luosto. On the 12th (Wed), identify plant and animal life at Wildlife Areas, identify plant and animal life at Kopara Reindeer Park, and then admire all the interesting features of Amethyst Mine Lapland. To find other places to visit, photos, traveler tips, and more tourist information, use the Luosto online driving holiday planner . Getting from Saariselka to Luosto by car takes about 2.5 hours. Other options: take a bus. In June, daily temperatures in Luosto can reach 18°C, while at night they dip to 7°C. 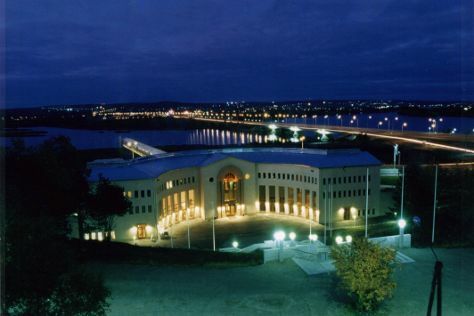 Cap off your sightseeing on the 12th (Wed) early enough to go by car to Rovaniemi. On the 13th (Thu), see exotic creatures in open habitats at a safari tour, see Santa Claus Office, then explore the different monuments and memorials at German Soldier s Cemetery, and finally take an in-depth tour of Arktikum. To see reviews, other places to visit, more things to do, and other tourist information, refer to the Rovaniemi sightseeing app . Drive from Luosto to Rovaniemi in 1.5 hours. Alternatively, you can take a bus. June in Rovaniemi sees daily highs of 18°C and lows of 9°C at night. Cap off your sightseeing on the 13th (Thu) early enough to travel back home.